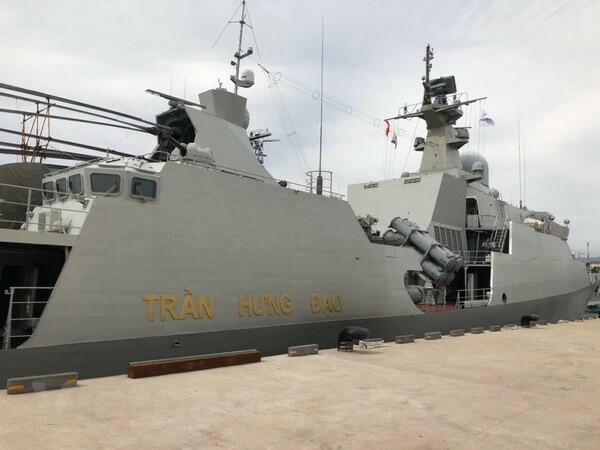 (VOVWORLD) -Vietnam has sent one of its largest and most modern frigates to the Republic of Korea to participate in the third international parade in Jeju. The 015-Tran Hung Dao is a Gepard 3.9- class vessel which Vietnam received from Russia late last year. Before coming to Jeju for the event, the Vietnamese naval ship visited Japan from September 27. The International Fleet Review of the RoK Navy, which opened on Wednesday, is a major event of the RoK navy held every decade. It was held for the first time in 1998 on the occasion of the 50th anniversary of the RoK navy. The review of warships will take place on October 11 with the participation of more than 40 vessels and over 20 military aircraft from 13 countries, including the US’s nuclear-powered aircraft carrier USS Ronald Reagan.